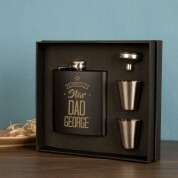 Give your Dad a truly beautiful and unique gift this Christmas or on his birthday… or any other occasion for that matter. 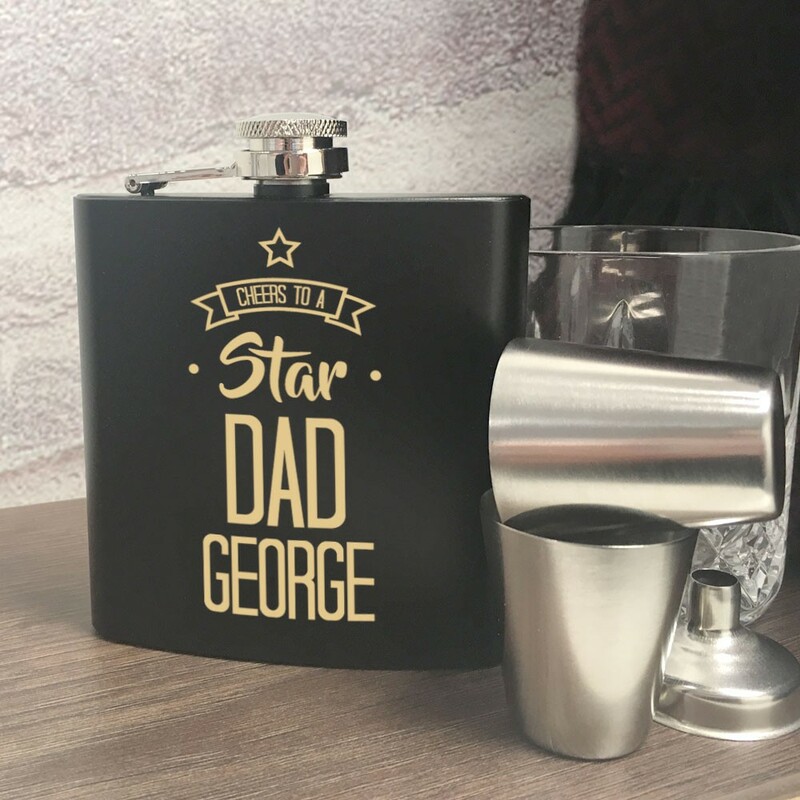 The beautiful matte black anodised hip flask is a wonderfully personal gift to give to someone who may otherwise be difficult to buy for. 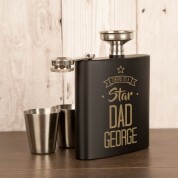 It can hold up to 6oz of his favourite liquor and comes with two measure cups to ensure he doesn’t go overboard! 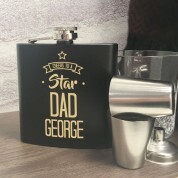 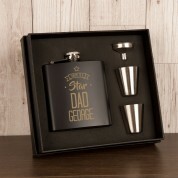 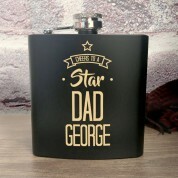 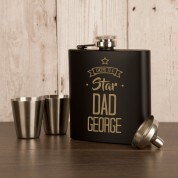 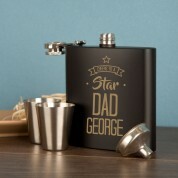 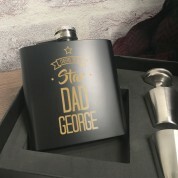 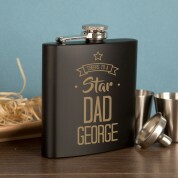 We design and engrave our hip flasks in house with Dad’s name and send them out to you in a stylish black presentation box.